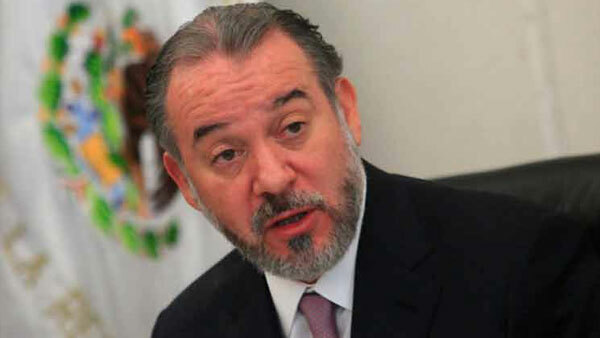 Mexico’s attorney general Raúl Cervantes has quit his post, saying he does not want to stand in the way of the approval in Congress of a reformed General Prosecutor’s Office (FGR). Mr Cervantes, a controversial figure who has overseen the arrest of a string of former state governors on corruption charges but has failed to resolve investigations into the fate of 43 missing students or allegations that the former head of oil company Pemex took $10m in bribes from Brazilian construction company Odebrecht, told Senators that he had tendered his “irrevocable resignation” to President Enrique Peña Nieto. As attorney general, Mr Cervantes could have been in line to take the helm of the FGR under the so-called “automatic pass” for the serving attorney general to continue in the new post when the FGR is established. More than 300 civil society groups not only want to scrap the automatic pass but to ensure that the new FGR’s office is truly autonomous, efficient and independent – something opponents believe would not be possible with Mr Cervantes, a former lawyer to the ruling Institutional Revolutionary Party (PRI) at the helm. “Some legislators and politicians have used my name and my supposed aspirations [to lead the FGR] as an excuse NOT to advance in approval of the laws that would improve conditions and tools for the justice system in this country,” Mr Cervantes tweeted from his resignation statement. “In order not to delay any further the urgent laws that Mexico needs [on the creation of the FGR],” I have decided to tender … my irrevocable resignation,” he said. He said his only aspiration was to serve his country, and he hoped Congress would swiftly approve laws to ensure an autonomous FGR and independent prosecutors’ offices in Mexico’s states. There was no immediate word on who could replace Mr Cervantes, who had been in the post a year.